since March 1996. last update July.2011. I play handmade Ribbon Controller and original musical instruments which is named "Kaisatsuko(回擦胡)" - two strings Hurdy-Gurdy like oriental fiddle. Now I'm mainly playing these two handmade instruments at my live performance. And I also have played them with various musical instrument players. You can check my performance from here. 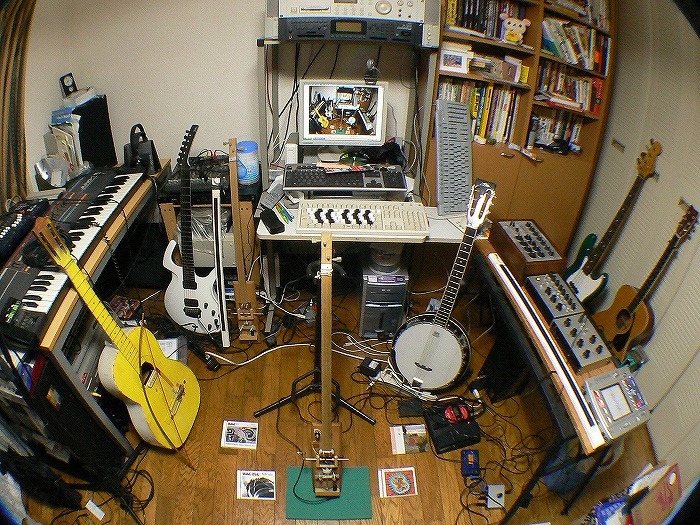 Side by side, I produce and record my original songs by means of many instruments and multi-track recorder. And I have tried some musical computer programmings which are not only conventional one , but also algorhythm composition(usuing MAX etc) and digital signal processing. I wander about hi-tech to low-tech, analog to digital and various kind of music. Onoue's another main handmade instrument. I provide many video clips of performance of my musical instruments. Even if you want my handemade musical instruments(like RibbonController and Kaisatsuko), I can't make them for you. Because I don't have much time to make them for others. Very sorry. Basically I'm not craftworker. Please recognize me as a "MUSICIAN" who also plays handmade musical instruments. 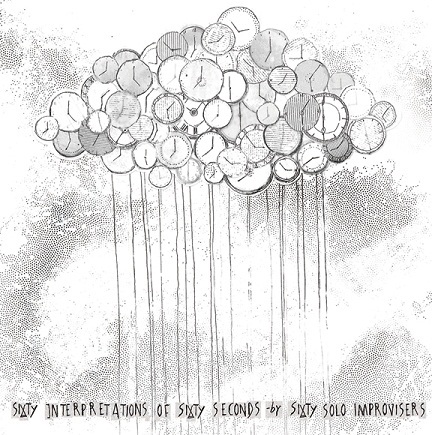 Global improvisation compilation CD/MP3. Now On Sale!! I contributed one minute Kaisatsuko solo piece for this album.